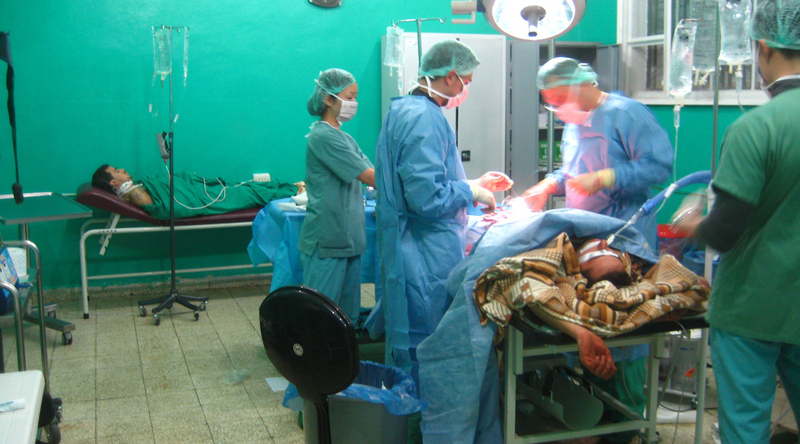 The international humanitarian law gives special consideration to the medical personnel. However it was a high priority for SNHR to document violation against the medical staff and it has already issued several reports regarding that matter; the most recent of which was issued in collaboration with Avaaz organization on 31/1/2013. Government forces have killed 222 medics, we noticed through our daily observation the escalation of targeting hospital and paramedics by the Syrian regime which caused a severe shortage of medical capabilities all over Syria. Also a lot of the wounded are dying in front of their families due to the lack of any medical care. Among the medic victims were 12 women which is a vital indicator of the Syrian women’s valuable involvement in the various aspects. Also among the medics were 7 non-Syrian doctors; the majority of them were Egyptian. Nevertheless, the most horrible was arresting 3270 medical worker at least including no less than 650 doctors who some of them have been released. The Syrian regime used to torture anyone found to be working in the medical field more than usual as they were accused of “treating the terrorists”. 31 medical personnel were tortured to death inside the detention center. This represents an explicit evidence that medical workers are specifically being targeted by the Syrian regime. To this moment, there are 7 Red Crescent personnel being prisoned by the Syrian regime.